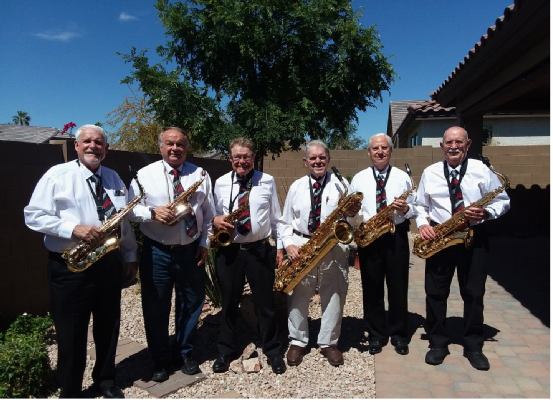 The Saguaro Saxes are part of the West Valley Wind Ensemble (WVWE). They provide music in smaller venues for audiences who request a personal and more casual performance. 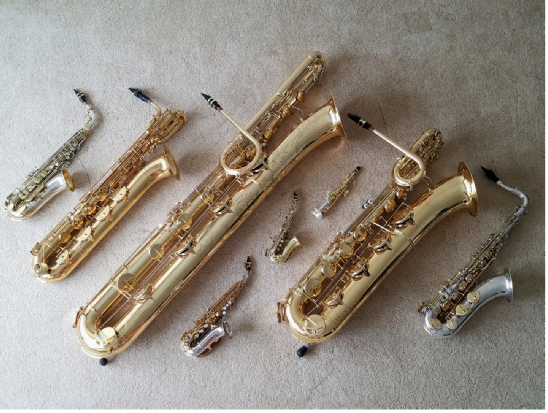 As a Saxophone Ensemble, they bring a unique sound to our programs demonstrating the beauty and the versatility of instruments in the Saxophone family. Members of Saguaro Saxes play several of the instruments from the Sax family. You can hear them rehearsing “Amazing Grace” by clicking on the link below. From left to right - Mike Irons, Tim Price, Paul Engebretson, Ray Foster, Del Lloyd and Jim Wise. Not in picture - Gary Hyslop, Dave Huddleston, Steve Silverberg and Jim Spence.